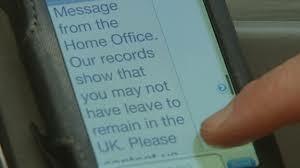 Communicating with the Home Office in family proceedings. (1) HMCTS form EX660 (rev 04/18), a copy of which is annexed to this Protocol, must be completed by the parties and approved by the judge. (2) An order in the relevant form, a copy of which is annexed to this Protocol, must be drawn up, approved by the judge and sealed by the court. iii. Section C – Select Subject 1 and complete all fields. iv. Section D – Enter “Y” in “Other ” field only. v. Section E – Enter ” Please refer to court order and EX660″. vi. For more than one subject, select subject 2 and so on, completing steps C-E for each one. This entry was posted in Miscellaneous and tagged EX660, Home Office, immigration on May 17, 2018 by Sarah Phillimore. Sarah,sorry but my error,the above comment was meant for the last post about litigants in person.Can it be transferred? Sorry! it may be possible but I don’t know…. I shall delete the comment and you can repost?